Why is My New Carpet Turning Different Shades? There are many types of carpet shading complaints. Carpet shading is a localized alteration in the orientation of the pile. Shading occurs as the result of randomness in pile lay direction. Shading will be seen on both wall to wall carpets and rugs. The physical cause of shading is due to the difference between light reflection from the greater surface area of the side of the bent fibers, which appear lighter in color, compared to the greater light absorption and darker appearance of the more vertically oriented fibers. Carpet shading is a normal characteristic of cut pile carpets, especially those with a smooth pile such as velvets and saxony plush. Carpet shading is considered an aesthetic quality of fine carpet and is not considered a defect. 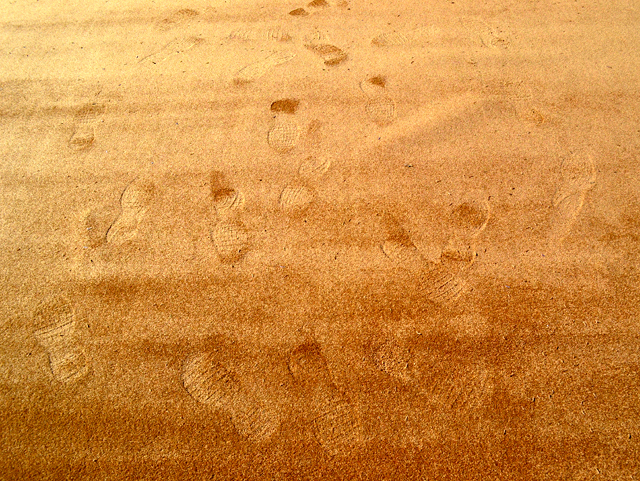 Shading is caused by light reflecting differently off of tufts that bend differently from footprints, vacuuming, etc. A person that finds carpet shading objectionable should select a carpet with a denser construction, lower pile height, textured yarn. Examples would be textured saxony, frieze, and berber. Carpet Shading is identified by areas that appear lighter or darker depending upon the direction they are viewed from. Brushing the pile with the hand will result in a change of shade. A reversible, localized change in orientation of a carpets pile. Temporary shading is often described as a normal characteristic of certain cut pile textile floor covering. Over time, areas of carpet may look as though someone has spilled water on various sections of the carpet, hence, “water marking.” Other names to describe the phenomenon include “pooling” and “highlighting. Common Identifying Characteristics: Areas of carpet may look as though someone has spilled water on various sections of the carpet, hence the term water marking. Areas reverse in shade when viewed from opposite directions. Shade will appear to change when brushing with the hand. At the interfaces (edge of perceived change), the pile on either side will be strongly oriented in opposite directions. Conspicuous, irregularly shaped serpentine lines or “interfaces” will generally be located in or immediately adjacent to traffic paths. The traffic pattern may not precisely follow the flow of traffic, but will appear to waver randomly throughout the trafficked pile. Type of Claim: While water marking may give a highly objectionable appearance it is considered a characteristic and not a defect. Replacing the carpet with a similar carpet of any fiber will likely develop in the same condition within a few months. The causes of this form of pile reversal have not been conclusively determined. Because it occurs almost exclusively in and immediately adjacent to trafficked areas, traffic appears to be a significant contributing factor; however, several environmental factors, e.g. static electricity, electromagnetic fields have also been advanced as possible contributing factors. The Carpet and Rug Institute in its manual titled Pile Reversal (“Shading”, “Water Marking”), states……the only conclusion which can be drawn is that pile reversal may develop on the surface of some carpet after it is installed, and that pile reversal is not due to the materials which are used to produce the carpet, the manufacturing process, or any combination of these factors. I picked a carpet that is textured so I would not see foot prints and vacuum marks. The carpet was laid down yesterday and I see footprints and vacuum marks. Also the foot prints looks like dark water spots. Anything I can do to help this problem ? If the carpet is showing footprints there is nothing you can do to keep the footprints from showing. You may be able to reduce the vacuum marks by adjusting the vacuum. The quickest way to get rid of vacuum marks and footprints is by raking the carpet though you will have new marks as soon as someone walks on the carpet. If you can show you made your dealer aware of the fact that you wanted a carpet that would conceal these marks you need to be back in touch with them. 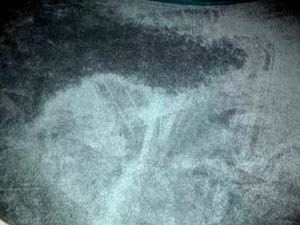 If you purchased a carpet that the manufacturer or dealer make a written or advertised claim that it will conceal the marks you should contact them about your concern. I had a carpet laid in plush pile and it has four lines across the width of the carpet where it obviously wasn’t rolled properly prior to being laid, or the roll has been laying on its side with carpets on top of it. Worse still, 1 month on, the lines are turning into puddling. The carper company are not helpful and will not do anything about it. This may or may not be pooling. Here are a couple of things you can try. Using a spray bottle, mist the carpet with a bit of hot water that you have added a drop or two of dish washing detergent to. Sweep your hand over the carpet next to the area to figure out which direction it is running and sweep the dampened pile in the same direction. Once dry vacuum it. You can also steam the area with a steamer such like the Jiffy steamers they use to steam clothing and this may give you better results. After steam brush as above and vacuum the carpet when dry. I have just brought this Capet, paid lots for it. Had it fitted and within two days notice random light marks appearing. They look very light against the dark grey it should be, it looks like bleach but no one had spilt anything on it. The shop I got it from are not helping and blaming is. It started as two marks and now within a month there is more then 5, they just seem to appear from no where. Kalah, the way you describe these spots they could be shading or even a reflection from objects. Unfortunately there is no way that I can tell what they may be just from the description. If you would like, email me a couple photographs and the email address shown in our contact information and I will take a look. I purchased astainmaster trusoft bcf nylon plush carpet and underpad for living room dining room stairs and hallway. The laid carpet was professionly done but carpet feels softer than the sample and shows all the footmarks and vacuum marks. My wife and I are seniors -no children or pets and very careful We have had the new carpet one week. Roger, it is unfortunate that you purchased a plush style carpet in a soft yarn when you do not like the look of footprints and vacuum marks. Some people really like the look of footprints and others hate it. Plush carpets will show footprints and a soft yarn will usually show them even more. There is nothing you can do to eliminate this problem, you either need to live with it or replace the carpet. If you purchased a carpet with a 30 day warranty that allows you to replace it for any reason, that might be your best bet. Understand that most of those warranties require you to pay the labor. My carpet has starting getting lines the whole length of the carpet. At first I thought it was my vacuum making markings but they are straight and can’t be smoothed away. This carpet is less then one year old. I have contacted the place that installed it and they are turning into the warranty department to come and take a look. It is very high quality carpet….but these just appeared out of no where? Note: a link added for photo that was emailed by poster. Linda, it is indeed strange that it has taken nearly a year for these lengthwise bands to show up. They appear evenly spaced as if they either follow a pattern or following gauge rows. This type of concern should show up right away though a lot depends upon the direction the light is flowing across the carpet. Did you change windows or window treatments so that the light is now making them more visible even though they may have been there all along? Gauge rows are a manufacturer – tufting related concern and pattern lines are a characteristic. This type of claim is usually very controversial. With an inspection we would be better able to identify the problem, see if the yarn is making a change or if it is strictly light related from the yarn within these gauge rows turning a slightly different direction or if they are following a pattern. Cut pile carpets sometimes show a shading effect that appears as light and dark patches due to different pile direction. Areas of pile tufts leaning towards you will appear darker whereas pile tufts leaning away from you will appear lighter. This may give the appearance of a colour change which is in reality only an optical effect. This effect can be exaggerated by such things as room lighting and certain types of traffic across the carpet. You are absolutely correct with your description of shading! I installed my carpet and i reversed the pile. It lookes like two different carpets one datker than the other. Do i have to replace the whole carpet. I resently bought a good Quality carpet for my hall. The carpet fitter had problems fitting it as we have so many doors in the hallway. After just a week I noticed like a tide mark the full length of the hall.. It’s not a walk way mark. It’s a thick wiggly line In the middle of the carpet.. It’s very irritating as it’s the first thing you see when you walk in. It looks just like a tide Mark on a beach..
About how wide is this mark and does it run the full length or into doorways. Feel free to email us a photo and we will take a look at it. I am having trouble with new 3 dayold carpet is is printing feet prints and does not seem to be right color. Some carpets will show foot prints and vacuum marks. Unless the manufacturer warrants against them this is not a manufacturing concern. Could be a dealer concern if you can prove they misrepresented the carpet. Can you give me advice on what too do to correct this? Your description sounds like your area rug is a texture that is bending more to one direction. If you sweep your hand across the pile you will be able to tell which direction the pile sweeps. If you have trouble feeling the pile direction, place a piece of writing paper on the rug, place a pencil over the paper and gently roll the pencil back and forth over the paper. As you roll the pencil, you will be able to view the direction the pile sweeps. Once you know the direction the pile is sweeping, stand up and view the rug again. My guess is, that the rug appears more white while viewing across the pile than looking into the pile. Sorry, but this is the texture of the rug and there is nothing you will be able to do about it. I just bought new carpet for 5 rooms, bedrooms. And in just five month the color has change a little color. I don’t know it was problem is, direct from sun or bad carpet, please advise. Thank you very much. Minh, the carpet is most likely shading which will make the color look a little different. Brush the pile of the carpet up with your hand and compare the tips to the deeper pile and you should be able to tell if it is fading. I am currently living ina a rental house which had a carpet 1 year old. Robbie, based on your description, this sounds like pooling, a shading concern and not something you caused. Our newly laid carpet changed colour significantly within 3 weeks (we didn’t fully realise the extent of colour change until the doormat made from carpet offcut arrived 2 weeks after fitting) and we have been told that this is due to UV, that there is no fault in the manufacture and that samples (we looked through loads before choosing this carpet) are no reliable indication of what the colour of the carpet will be like once laid. We have ended up with a carpet that isn’t the colour we chose when both the manufacturer and retailer knew that this sort of carpet was susceptible to early colour change (first fading) but didn’t alert us to the fact when we bought it and now looks as though we have absolutely no redress. Why doesn’t the industry do more to warn customers about the unreliability of sample matching? If carpet fades from ultra violet light (UV) over a 3 week period, and the carpet is not in direct sunlight for hours each day, you have a defective carpet. That said, it is more likely that you are seeing shading and not an actual color change. If the dealer will not report your concern to the carpet manufacturer, call the manufacturer directly and discuss your concern with them. If you still get no where, find a carpet inspector in your area and have them inspect the carpet and write a report. You also mention sample matching, which is a different issue. Most manufacturers consider color variations within 10% at either side of their stated color to be within tolerance. They certainly should make that information available to you. Hi ,I have bought a good quality wool carpet in a mousy brown. Six weeks after fitting, I lifted a waste piece used as a door mat and saw underneath was original colour and elsewhere charge to a more pink shade. Retailer and manufacturer have suggested natural fading in sun but I say not in 6 weeks. It faces east and doesn’t get sun v much. They are sending independent inspector but I don’t trust them to say any fault. You state that an independent inspector will be checking the color concern. While there are always a few hired guns in any profession, most independent inspectors do not take sides and will tell it like it is. If you are not happy with the results of the inspection, you can hire another inspector of your choice, to check the carpet. Let us know how thing turn out. As a further test, if you have another piece of carpet that has not been used and installed, kept in storage, use that piece to compare with the installed carpet in suspected affected areas near windows and areas away from windows or natural light sources. Also check the intensity of the color change from the natural light source. 6 weeks is not very long. The dyes may not be stable under ultra-violet light. Thank you for sharing a really fine method of comparison. This information will not only help a lot of people, it is coming from Clayton Shull, a true floor covering professional. Keep up the good work. Purchased a 5×7 rug from Lowes, after 2 weeks we noticed it had darkened around the edges. Rubbed it with a clean white cloth moistened in plain water and it was filthy! Returned the rug and got another one. Exact same rug. Beautiful, but 2 weeks later it too was darkening around the edges and again showed filthy on a clean white wash cloth!!!! We have no kids, no pets, and do not walk on the rug. The center area under our table is unchanged in appearance. WTF is going on!?? Could UV light be causing some sort of dye oxidation? This is an Allen & Roth Betancourt Rug. It is gorgeous for about 2 weeks and then AWFUL! My reply to your darkening rug edges is no more than an educated guess. It sounds like there is a factory lubricant around the edges of the rug that came off the machine used to finish the rugs edges. Airborne and trafficked soil is being attracted to the lubricant and the edges darkening with the attached soil. If it was me, I would contact the technical department of the manufacturer and ask them about it. If you learn more, be sure to share the information with us. Carpet inspector has reported that the change in colour is due to photobleaching, also known as red shifting and is a natural phenomenon and not a fault in the carpet. You can guess I am not happy with this. They have suggested I remove the mat and all will match .Huh. What I chose is not what I’ve got. Natural but not satisfactory. Showroom needs a big notice saying chose a darker colour than you want and cross your fingers. Janet, by your comment, it sounds like you have a wool carpet. 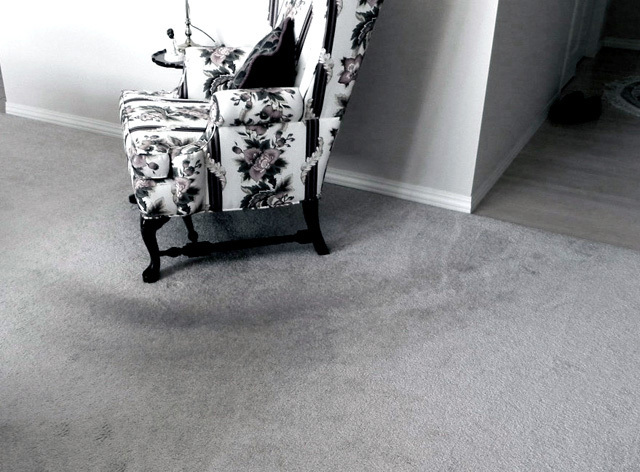 AGResearch has a good article on potobleaching of wool carpet . My moan is that what I chose isn’t what I’ve got now. I had a beige/pink carpet, replaced by new beige brown and its pink again, all over, even where no direct sun. I understand that it is frustrating. You might try contacting your states Consumer Protection Agency and asking if they can assist you. We have a red carpet in lounge & now in the centre of the carpet we have a patch pile reversable , is there anything we can do. You can often improve pile reversal using a steamer such as a Jiffy Steamer that is designed for clothing and draperies. Steam the area and sweep the pile in the direction that you want the pile to run.